Sharing a story on Filipino ONE Athlete Eugene Toquero. Catch him in action in Yangon, Myanmar on 3 November in ONE: Hero's Dream. Filipino fan-favorite Eugene Toquero will be making his fourteenth trip to the cage as a professional mixed martial arts competitor on 3 November, and he will be doing so in front of a passionate crowd in Yangon, Myanmar. The fans at the iconic Thuwunna Indoor Stadium will be entertained by the flamboyant flyweight Toquero once more on the undercard of ONE: HERO’S DREAM when he takes on highly-touted Chinese prospect Ma Hao Bin. Toquero dropped his last three outings and is in dire need of a win as he returns to action on 3 November. 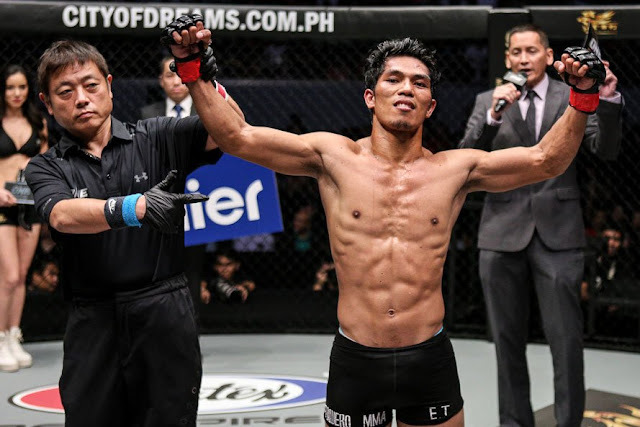 The 36-year-old Filipino veteran lost two of his scheduled bouts in 2016, yielding to reigning ONE Flyweight World Champion Adriano Moraes via first-round submission in March before tasting the same fate at the hands of Team Lakay’s Danny Kingad in December. Having his hand raised in triumph remained elusive to Toquero in April of this year when he bowed down to Indonesian standout Stefer Rahardian by way of unanimous decision. As he desires to place himself on the winning track again, Toquero stressed that he has made some crucial adjustments to his preparation. “I have made other adjustments. I train longer and harder now. I don’t want to be complacent because I am not getting any younger. This is a huge organization with a lot of very good martial artists from all over the world,” he said. “I will give my best in this bout. I will leave everything on the line,” Toquero declared. Toquero is confident that if his Chinese foe takes him lightly, it would be a catastrophic mistake. “If my opponent did not train well, then I will eat him alive inside the cage. I am hungry for that win,” he stated. The man standing in his re-entry to the winner’s column is Ma, who has strung together an impressive 7-1 professional record that includes three wins by submission and one by knockout. 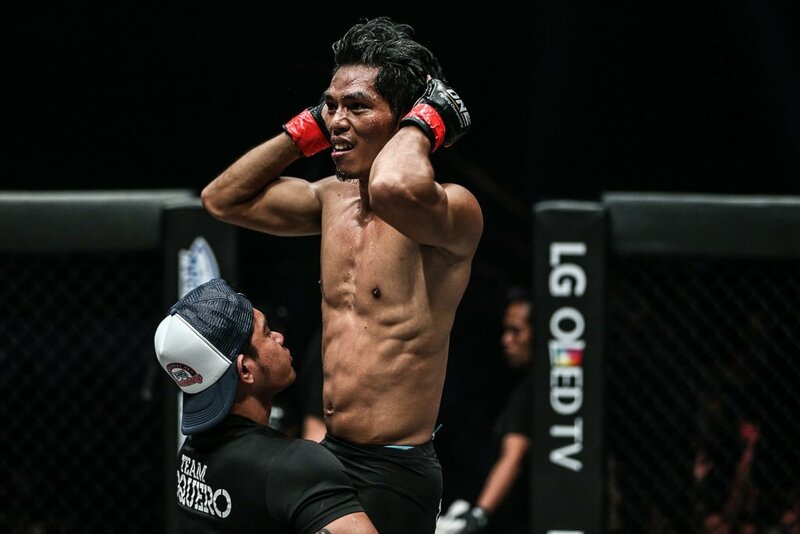 In Ma’s recent trip to the ONE Championship cage, he submitted “The Wolf Of The Grasslands” Hexigetu in their flyweight affair at ONE CHAMPIONSHIP: SHANGHAI this past September, courtesy of a guillotine choke, with ten seconds remaining in round number two. Toquero hopes that his experience will pay dividends when they meet across the cage, but he won't be paying too much attention to his adversary's game plan. According to Toquero, the key to victory is in focusing on himself and making his A-game the priority. "I never study my opponents. I do not care who they are because in Muay Thai and my amateur fights we never knew who our opponents were. We train in the gym and enhance our strengths," he shared. With a fresh outlook and his back against the wall, Toquero is driven to break his losing spell and redeem his status as one of the most exciting flyweights in the Asian region. "This time, l will make sure that my hand is raised as the winner. I am not going home with a loss on 3rd of November," he ended. ONE Championship is the largest sports media property in Asian history. Headquartered in Singapore, ONE Championship is the home of martial arts. The world’s most exciting martial arts organization hosts the largest sports entertainment events across Asia, featuring some of the world's best martial artists and world champions, all signed to exclusive contracts, on the largest media broadcast in Asia. In addition to its digital platforms, ONE Championship broadcasts to over 1 billion potential viewers across 128+ countries around the world with some of the largest global broadcasters, including Fox Sports, ABS-CBN, Astro, ClaroSports, Bandsports, Startimes, Premier Sports, Thairath TV, Skynet, Mediacorp, OSN, and more.